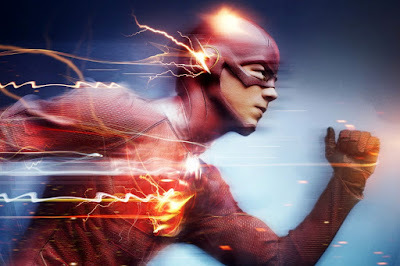 Series creators Greg Berlanti and Andrew Kreisberg do a great job of feathering comic-book lore into the eerie, anthology-like episodes that star other metahumans who gained powers as unique as Barry's super-speed after an accident at S.T.A.R. Labs' Particle Accelerator blanketed the city in some high energy whatchamacallit. The show's Central City offers a panoply of villains with visually interesting abilities that play great onscreen, like Captain Cold, Heat Wave, the Mist, and the Weather Wizard. Kreisberg and Berlanti also pay homage to The Flash's TV legacy, casting the original 90s Flash, John Wesley Shipp as Barry's dad. 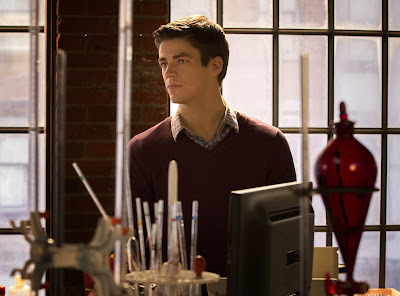 His part in Barry's origin, wrongly imprisoned for the murder of Barry's mom, gives the show some emotional heft. Other actors from the character's 90s television incarnation that have made appearances are Amanda Pays and Star Wars' Mark Hamill, both playing older versions of their roles in the previous series. What Berlanti and Kreisberg do right is make it all feel organic to the creepy-cool-pleasant aesthetic balance that The Flash strikes so perfectly. Team Flash is equally as quirky and interesting as Team Arrow but also more diverse. Gustin is supported by a strong mix of veteran and novice actors. 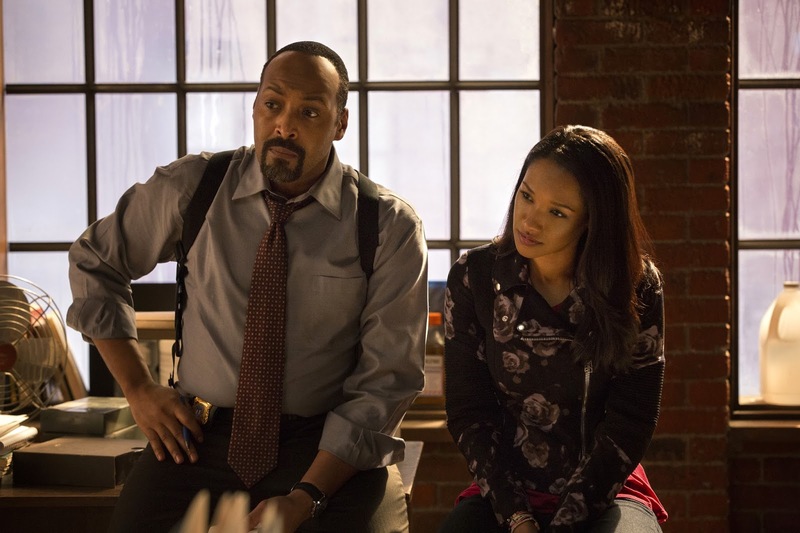 As Barry's supportive surrogate dad, Joe, Jesse L. Martin (Law & Order) plays another cop. Martin's biggest contribution is the way he grounds some of the more fantastic aspects introduced in each episode. The Arrow never had to deal with a guy that shoots a freezing ray out of his cold-gun or a super-intelligent talking gorilla named Grodd. 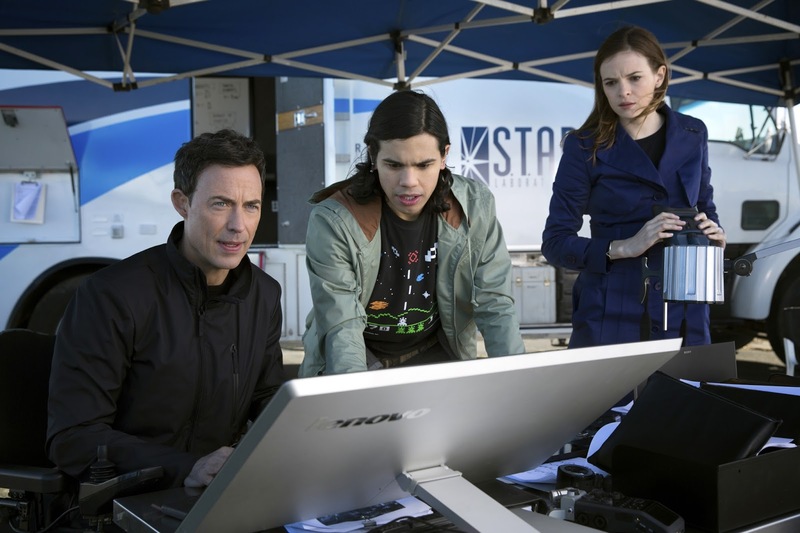 This allows for some wonderful serio-comic interplay between the show's scientist chorus, strait-laced Caitlin (Danielle Panabaker), wisecracking Cisco (scene-stealer and first-time actor Carlos Valdes), and the sneaky Dr. Harrison Wells (Tom Cavanagh). Valdes' propensity for labelling the show's metahumans with nicknames that match their comic-book counterparts at once pays tribute to and underlines the goofy childishness of its origins. Cavanagh, a likable actor so far confined to playing fairly conventional leading men, is superb as the sinister Dr. Wells, a fascinating character that gradually comes into full bloom over the course of the season as the ambiguously, self-interested antihero one finds in other sci-fi classics; think Lost in Space's Dr. Smith or Baltar in the more recent Battlestar Galactica. If there is a weak link, it is Candice Patton who as Joe's daughter Iris plays the love interest. I can't think of any flatter more one-note performance on a TV series, except for maybe that of Arrow's Katie Cassidy as that show's chief love interest, Laurel. In a pop culture landscape littered with superhero programs that take themselves way too seriously, The Flash stands out for what its creators call a "blue-sky" sensibility. Here's hoping a larger audience finds it on blu-ray, because I look forward to The Flash zooming into our living room every week for years to come. Own it on Blu-ray, DVD &; Digital HD today.